If you’ve ever participated in online forums about classic men’s clothing, you may have come across people talking about a jacket’s “balance.” But what is balance? 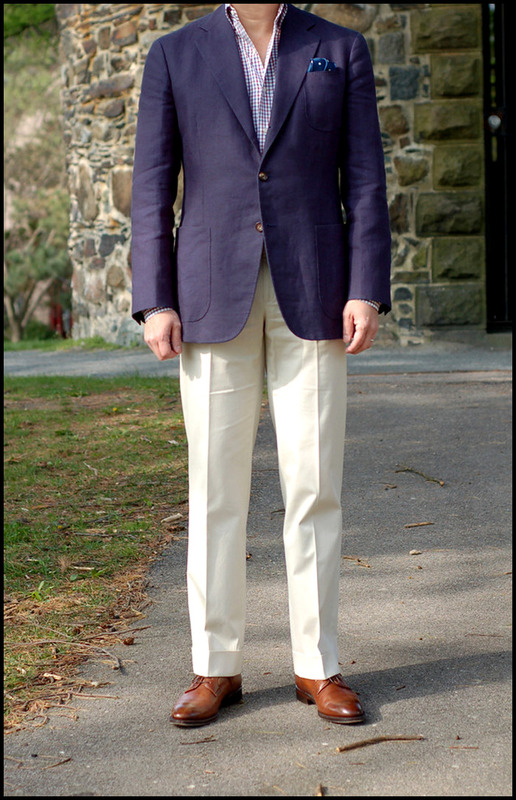 Sometimes, it’s a nebulous concept – just a way of someone saying whether they think a jacket looks off or not. Most of the time, however, it refers to something very specific: how a jacket hangs from the shoulders. To understand this, you have to remember that a jacket takes on the shape of our bodies, so our unique contours and posture will affect how it fits. Which is why if you take two men with the same chest size, the same jacket can look very different on each of them. This can happen for a number of reasons. One might be that the person stands too erect, so the back essentially “dips down” while the front “hikes up.” It may also be that the person has a very large stomach, so the front of the jacket doesn’t have enough material to cover that area without disturbing how the jacket hangs. The opposite of this is also possible. Someone might have prominent shoulder blades or stand with a stoop. In this case, he’ll need a bit more length in the back and less in the front. Otherwise, the quarters of his jacket might fall away towards his hips and the vents at the back might gape. The second aspect of balance refers to how the left and right sides of a jacket relate to each other. Similarly, these should also be aligned. This might seem like it should occur naturally, but certain things can complicate it. If your right shoulder is considerably lower than your left (which is very common, by the way), you’ll notice that everything on the right side of your jacket will also be dropped accordingly. Fixing this isn’t as easy as just adding length to the right side or taking away some on the left, however. It’s not just the hem that’s affected, it’s everything on the right – the way the left and right pockets align with each other, the notches on your lapels, as well as the buttons and buttonholes. A tailor can fix this for you, but it helps to know what to look for in order to assess whether a jacket fits you correctly. All this can seem confusing and complicated if you’ve never thought about these concepts. In the end, however, you can simply think of it like this: if someone were to view you from the side, the front and back of your jacket should be even, or the front can be slightly longer than the back. You can examine this by seeing how the hem aligns. 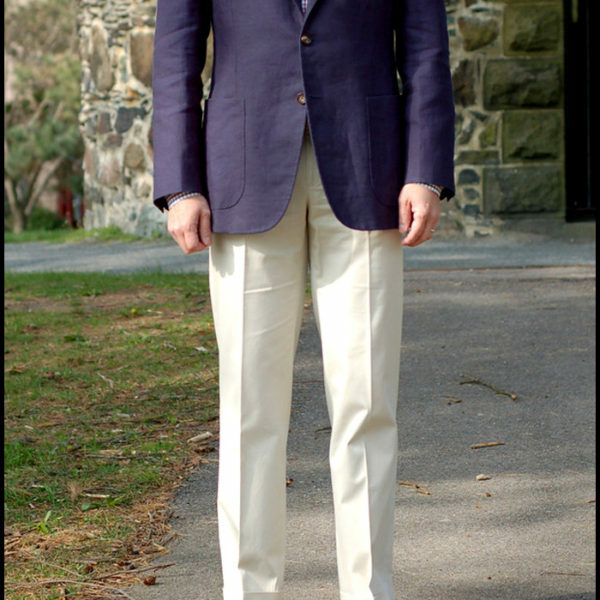 Similarly, when viewed from the front, the left and right sides of your jacket’s hem should be roughly even as well. If they’re not, it can be said that your jacket’s balance is off.